Are you ready for the funniest fart gag gift ever? 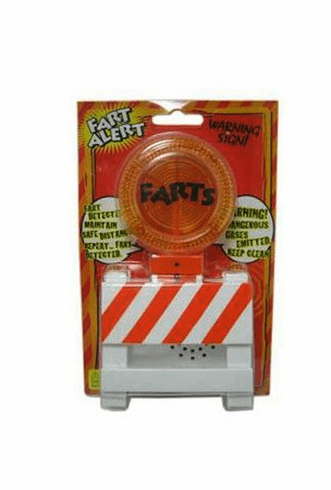 Set the Fart Alarm on a table or desk and when someone walks by ALERT ALERT!!! FART DETECTED! The Fart Alarm is motion activated so anyone walking by will set it off instantly. Everyone at home, school and the office will love it!